Find out more about some of the companies advertising with Family First and get great deals, money off vouchers and win cooking and sports equipment for your school. 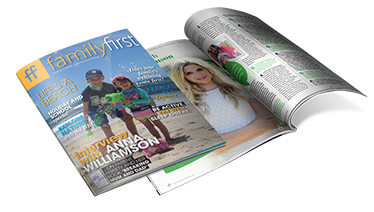 If you would like to advertise in the Family First magazine, drop us a line and one of our friendly members of staff will happily discuss your requirements. 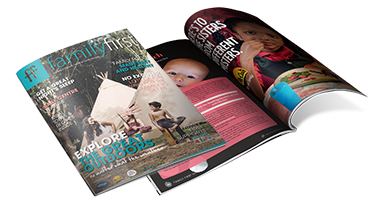 Family First Magazine is a bi-annual magazine specifically designed to improve the health of over 6,000,000 families across England, Wales & Scotland. Working alongside major sporting governing bodies, Public Health England, leading food & drink brands, sportswear giants, local authorities etc, helping to combat obesity in children. Our aim is simple, to get children & young adults active, playing more sport, exercising regularly & eating healthier. Family First magazine is published in June & December of each year, providing valuable information for families wanting to be active, whatever the weather. Family First's core target audience are families with children under the age of 16 therefore it is distributed via UK schools (book bags for parents), email newsletters from schools to parents, family attractions, high streets, retail parks, Mumsnet & other digital platforms, sports events (grass-root & major), leisure centres, retailers, family health centres, GP surgeries to name but a few.